It is also possible to reconfigure the device to convert carbon dioxide back into fuel. Hydrogen is the cleanest-burning fuel, with the only emission being water. However, hydrogen production is not environmentally friendly at all times. Conventional techniques require electrical power or natural gas. The technique advanced by the new device, known as direct solar water splitting, only uses light from the sun and water. Faqrul Alam Chowdhury, a doctoral student in electrical and computer engineering at McGill, said the downside of solar cells is that they cannot store electricity without batteries, which have limited life and a high overall cost. The device is built from the same extensively used materials as solar cells and other electronics, including silicon and gallium nitride (mostly found in LEDs). With an industry-ready design that works with merely seawater and sunlight, the device opens the door for mass production of clean hydrogen fuel. Earlier direct solar water splitters have accomplished slightly more than 1% stable solar-to-hydrogen efficiency in saltwater or fresh water. 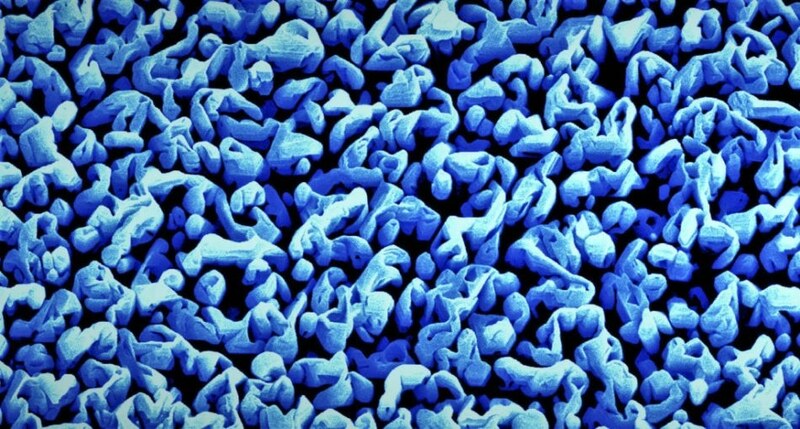 Other methods suffer from the use of expensive, unstable, or inefficient materials, such as titanium dioxide, that also might involve incorporating extremely acidic solutions to attain higher efficiencies. Mi and his team, however, attained over 3% solar-to-hydrogen efficiency. To reach this steady efficiency, the team constructed a nano-sized cityscape of gallium nitride towers that created an electric field. The gallium nitride converts light, or photons, into mobile electrons and positively charged vacancies known as holes. These free charges split water molecules into oxygen and hydrogen. Presently, the silicon backing of the chip does not add to its function, but it could be offering more. The subsequent step may be to use the silicon to help trap light and funnel charge carriers to the gallium nitride towers. He adds that 5% efficiency is the first step for commercialization, but his team is focused on achieving 20 or 30% efficiency. Mi is also involved in a similar research to strip carbon dioxide of its oxygen to convert the resulting carbon into hydrocarbons, such as syngas and methanol. This research path could possibly lead to the removal of carbon dioxide from the atmosphere, similar to what plants do. The device is documented in the research paper, “A photochemical diode artificial photosynthesis system for unassisted high efficiency overall pure water splitting,” published in Nature Communications. Besides Mi and Chowdhury, co-authors include Michel Trudeau of the Center of Excellence in Transportation Electrification and Energy Storage, Hydro-Québec, and Hong Guo of McGill University. The study was supported by the Fuel Cell Technologies Office of the U.S. Department of Energy and Emissions Reduction Alberta.